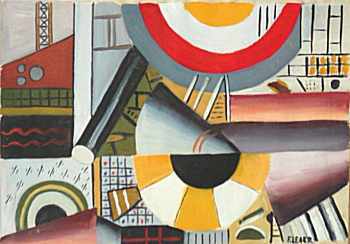 This painting is NOT a genuine work by Fernand Léger. And don't buy anything from Mr. Spoutz. In our opinion ALL pictures in his collection are FAKES. 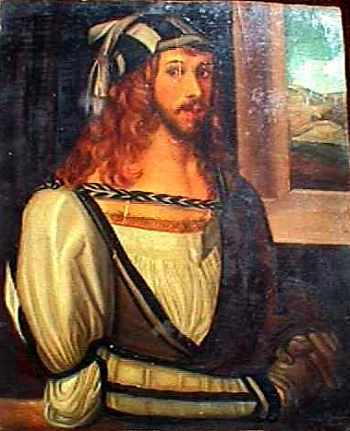 Attributed to Durer by myself. Look at the face and the eyes. These eyes are not from an old painting. Original Pablo Picasso Oil Canvas Painting. 24 x 36 in. Signed and Dated. "Femme En Bleu" 100 % Authentic! It also comes with the Original Certificate of Authenticity that is Issued from The Montreal Museum of Fine Arts Sometime Between 1900 and 1921. And that Certificate will also be sent out with the painting. This was not at all how Picasso painted his pictures. According to the seller the certificate is issued between 1900 and 1921 but the painting is painted in 1901. How do you explain that? Here are the facts: This painting does not have a provenance. This item has been examined by many experts and dated all experts believe this is an original Miro but because it does not have a provenance it has not been authenticated. Offers had been made to purchase it without this authentication but were declined because they were too low, and at the time I thought it would be easy to get it authenticated. An art dealer had it in her possession for several months trying to get a provenance for it and was going to take it to Europe to be examined by members of the Miro family for authentication, which i could not afford, which is why I am selling it here. 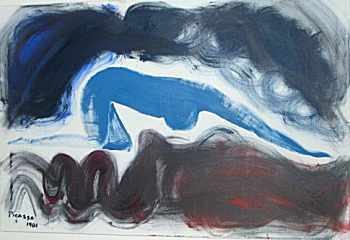 If I had the connections or the money to get a provenance for this painting I would and then try selling it at Sothebys or Christys. This is not a question of having the proper connections, neither is it money problem. 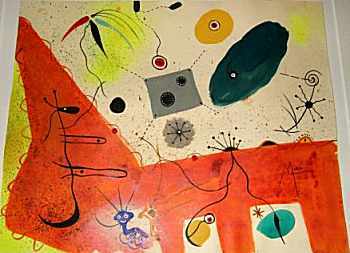 The watercolour is not a genuine work of art by Joan Miró. He certainly would never make such a lousy composition. The red figure! Is that a dog? It's far too big and furthermore: The other figures are composed in an inartistic way. The seller, 2lcollectorsfun, Luxembourg: No reserve! 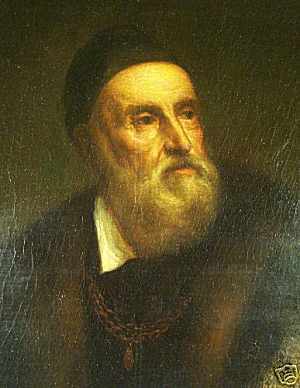 Estate liquidation: Important self portrait of Titian Vecellio. The winner has 3 possibilities for this genuin old master painting: 1.) in that state with great impression as the unfinished picture is over a long time. 2.) to cut down the format to a smaller size. 3.) or to add the unfinished area dark by a restorer ( but it is much better to keep this important old master of history in its state as it is over a long time). "Cut down the format to a smaller size"! An original Titian! What a wonderful art lover.